Children are not “little adults”, and planning care for children, is complex. Children’s teeth are not the same as adult teeth, and the treatments available, materials used and techniques are all different to those provided on adult teeth. The treatments that are suggested will depend on your child’s age, level of dental development, your child’s growth and development, your child’s ability to cope with the treatments required and other factors that may need to be considered such as their specific medical problems or missing permanent teeth. At ABC Dentistry your child’s needs will always be the focus when we are planning care. Our priority will always be to provide care in the best way for your child. 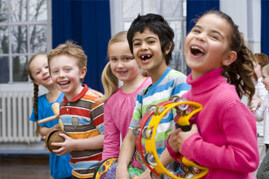 We understand children, and the complex nature of the treatments that are often required. 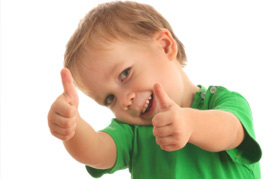 We will always provide a treatment plan that we believe that your child will be able to cope with. The initial consultation is the most important appointment. This is the appointment where all of the information is gathered, enabling a plan to be established for your child. At this appointment Dr Kylie will assess your child’s oral health, their growth and development, and their ability to cope with the treatments that may be required to restore oral health. This appointment is important for your child to gain confidence with going to the dentist and can help children who have lost confidence through a bad experience, to regain their trust in the dentist. After this visit you will have a good understanding of your child’s risk of developing tooth decay, their future dental needs and an appropriate recall period. Dental x-rays are a good way to measure how well your child can cope with new challenges, and are also necessary to fully assess your child’s oral health. X-rays will be required to fully diagnose any dental complaints and provide a treatment plan for your child. Happy gas is often used to help children cope with having dental treatment. Happy gas helps to distract children from the work that is required and along with watching a video, can make going to the dentist a much more pleasant experience than what they have had in the past. Happy gas can provide enough pain relief to allow simple fillings without the need for numbing with local anaesthetic. In our practice we do not mix sedation medications, meaning that we would not encourage any other oral medications (or those prescribed by your doctor) before coming for an appointment. Children need to be able to coordinate breathing through the nose and concentrating to be able to have treatment provided under nitrous oxide sedation. We plan treatment to be completed in less than 3 visits as children’s behaviour deteriorates with the number of visits. If a lot of complex work is required, and your child may not be able to cope a general anaesthetic would be the best option for completing care. Dr Kylie provides treatment under general anaesthetic at the Sunshine Coast Private Hospital (Buderim). Treatment is only provided under general anaesthetic if your child is unlikely to cope with the treatment in the dental chair. 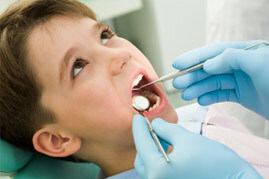 Providing treatment in the dental surgery is always our priority for your children. In most cases it is the amount of work required along with the complex nature of some procedures that would require treatment under general anaesthetic. Very young children are often unable to cope with treatment under nitrous oxide sedation, leaving general anaesthetic as the only option. Our aim is to provide your child with the highest quality care available, and a general anaesthetic will ensure that complex care is carried out well, and lasts for your child. There are many different types of white filling materials available, and we use many types for our patients. The simplest type of white filling is a fissure sealant, which is a protective coating on the grooves of the molar teeth. This covers and protects surfaces where food and plaque can pack and cannot be cleaned with the brush. These are often referred to as preventive fillings or fissure fillings, and can be placed in baby teeth to cover at risk surfaces even in very young children. 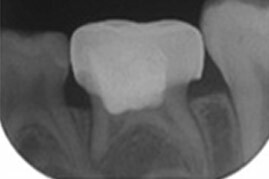 White fillings can be placed successfully in medium size cavities in the primary molar teeth, but for larger fillings we would suggest a stainless steel crown. 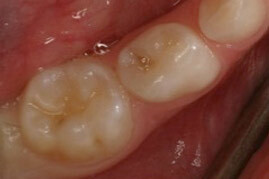 This is because large white fillings in the molar teeth tend to break and fail, requiring additional treatment. 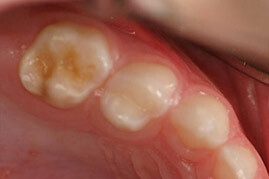 We will suggest white fillings in situations when that filling should last until the tooth falls out. In many situations a white filling will not be successful in the long-term. These situations include conditions such as hypomineralization defects (abnormal enamel), very deep cavities or where there has been nerve treatments placed. Molar teeth undergo a lot of load during normal eating and function, and large white fillings tend to break and debond, leading to further decay and breakdown of the tooth. Primary molars can be needed until children are teenagers. 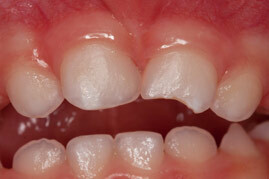 Early loss of these teeth can lead to crowding more on one side of the jaw and complicated orthodontic problems. 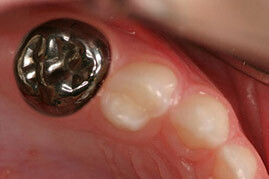 A stainless steel crown is like putting a new “skin” on the tooth. It is a preformed stainless steel cap that covers and protects any remaining tooth structure, is proven to stand up to great loads on the baby teeth and protects nerve treatments (if completed), preventing bacteria from infecting the tooth. 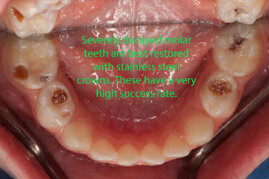 In young children with a lot of decay the stainless steel crown is proven to be the best treatment option. A stainless steel crown will only be suggested when no other material will be successful. The success of stainless steel crowns is the highest of any restorative material in the baby teeth, usually lasting until the tooth falls out, many years after placement. 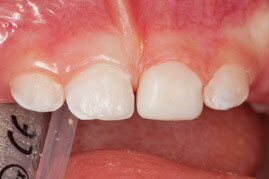 For the front teeth composite resin (white filling material) can be used to restore moderate to large sized cavities. These fillings bond to all of the available remaining enamel to help hold the filling on. 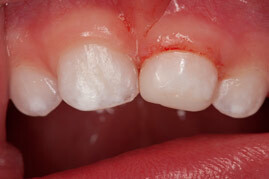 These fillings are used after a lot of tooth structure has been lost due to decay or an accident. These fillings quite successfully restore the look of the teeth and are versatile enough to hold up under moderate stress. These fillings can only be places when there is enough tooth structure left to bond the filling on. 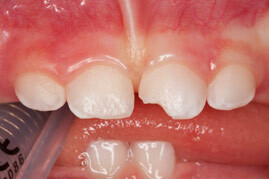 When there is a lot of tooth structure missing an extraction may be the only option for the baby tooth. 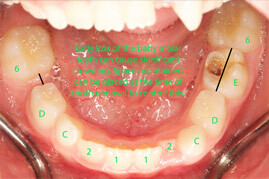 The baby teeth have a unique situation in that they fall out and in most cases are replaced by permanent teeth (when a permanent teeth develops). Nerve treatments provided for baby teeth are very different to procedures provided on permanent teeth. Any situation where the decay is close to the nerve or extends into the nerve are likely to require some type of nerve treatment. The treatment that the tooth requires will depend on the health of the nerve as assess by the dentist at the time of providing the treatment. There are two main types of nerve treatments that are used in baby teeth. 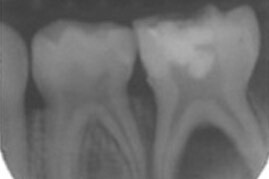 These are the pulpotomy (part nerve treatment) and pulpectomy (full root canal treatment). In a cavity, bacteria have always spread further into the tooth than the visible cavity. The pain history from the tooth is the most important information used to work out what treatments your child’s tooth will require. Pulpotomy is a procedure to remove nerve tissue that has been affected by bacteria, but leaving healthy tissue in the roots of the teeth. A sterile inert material is used to cover the nerve, before the tooth is built up again. 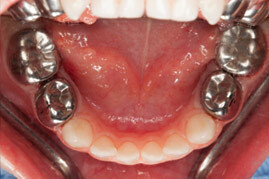 In young patients a stainless steel crown will be suggested for the best success for the tooth. Pulpectomy is required if there has been a history of pain, particularly waking at night or if the nerve health at the time of providing the treatment is not suitable for a pulpotomy. 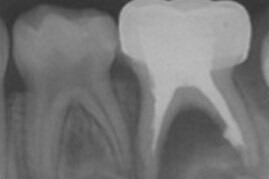 In a pulpectomy all of the unhealthy nerve tissue is removed from the roots of the teeth and a antibacterial dressing is placed in the root canal system, before the tooth is built up with a stainless steel crown. The success rate of a pulpectomy with a stainless steel crown is over 95%. On occasion saving a tooth is not the best option for a tooth. Dr Kylie will always aim to maintain symmetry in the dental arches for all of her patients when planning treatment. Depending on the age of your child, their risk of developing more decay, the extent of damage to the tooth and the way your child is growing. In some situations a space maintainer may be suggested to retain symmetry in the developing jaw and hold space for the developing permanent teeth. 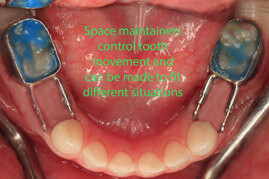 Some space maintainers can be placed after a tooth is removed, but in some situations the space maintainer can only be placed at the time of removing the baby tooth. Dr Kylie can make the space maintainer directly, at the surgery or under general anaesthetic. 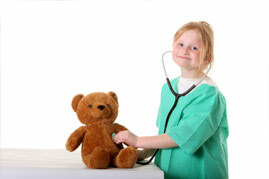 This reduces the number of appointments required for your child, and reduces the complexity of the treatment planning. We will only suggest space maintenance when it is advantageous for your child. Not all situations require space maintenance. Complex treatment can be provided in the dental chair with sedation for some children avoiding general anaesthetic. Dr Kylie handles nervous parents well too. We love seeing children with special needs and behavioural problems. We're here to make difficult treatments seem easy. You don't need a referral to come here. We see children of all ages for preventative visits. Treatment under general anaesthetic may seem daunting, but children respond very well. Come and see us so we can explain what you can expect. We are available for trauma advice at all hours. Please phone the surgery for details. Please fill in your details below, and we will contact you to confirm your booking.